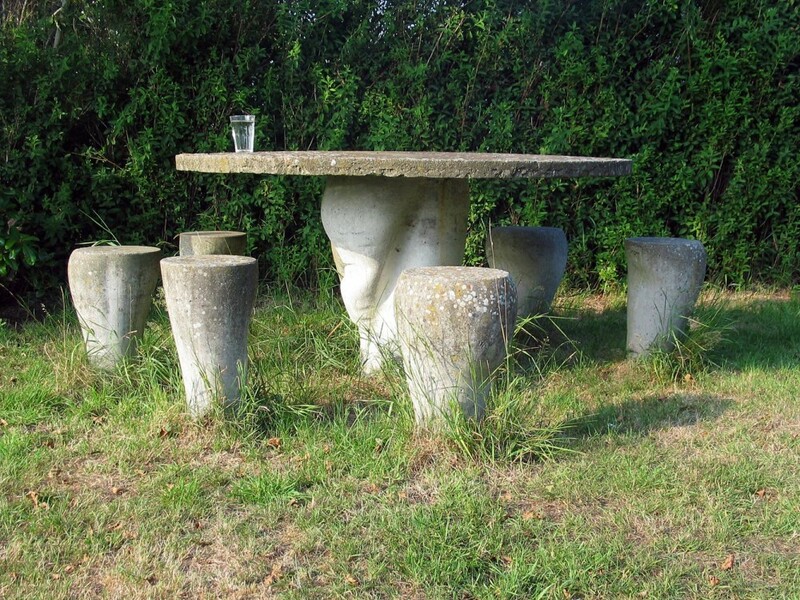 Table and stools of concrete, anchored into the ground. Size: table leaf diameter 150 cm. Height stools approx. 50 cm.